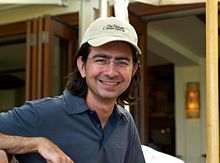 New York University journalism professor Jay Rosen, who’s part of the high-profile news project being launched by the tech entrepreneur Pierre Omidyar, writes that the operation’s journalism will be incorporated as a 501(c)(3) nonprofit. But will it really be that simple? As I wrote earlier this year, the IRS has cracked down on 501(c)(3) status for journalism, apparently (it’s not entirely clear) because the agency doesn’t consider journalism to be an approved “educational” activity. Rosen calls the venture, to be named First Look Media, a “hybrid” that melds for-profit and nonprofit operations: there will also be a for-profit technology company that, if it becomes profitable, will subsidize the journalism. But that’s not what we normally think of when discussing hybrid journalism models. The usual route is for a nonprofit of some kind to own a for-profit news organization. The example most often cited (including by Rosen) is the Tampa Bay Times, which is owned by the Poynter Institute, a journalism research and training organization. The difference matters, because a nonprofit news organization is prohibited from endorsing political candidates and engaging in other activities that might be deemed partisan. By contrast, a for-profit enjoys the full protection of the First Amendment, even if it’s owned by a nonprofit. Not that a nonprofit can’t do great journalism — nonprofits ranging from Mother Jones to the New Haven Independent have proved that. But it will be interesting to see how First Look and its high-profile contributors, including Glenn Greenwald and Laura Poitras, negotiate the tricky nonprofit landscape. Well, Media Matters is a 501-c-3, although God knows how they get away with it. He’d be better off becoming a 501-c-4, which CAN do politics as well as issues, provided that they spend less than 50% of their resources on political issues. @Cynthia: You’re just looking at the politics of it. I can see why Media Matters won 501(c)(3) status — its purpose is primarily educational, not journalistic. The Media Research Center is also a 501(c)(3).